Lonnie (Elana) Polsyn is a Licensed Clinical Social Worker (SW11710) and a member of the National Association of Social Workers. She received her Bachelor’s Degree in Psychology from University of Florida in 1985. Then in 2010 earned her Master’s Degree in Social Work with a concentration on Services to Elderly and their Families. She is also a Qualified Supervisor for Registered Social Worker Interns. Ms. Polsyn has worked extensively with the older population and hospice patients. 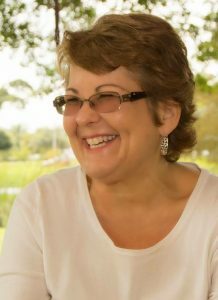 Lonnie has provided bereavement counseling to adults in the South Florida community for over 7 years and has worked with the Children’s Bereavement Center. She currently specializes in working with older persons and caregivers of persons with chronic illnesses, such as Alzheimer’s Disease, Dementia, and COPD. Lonnie also provides services to persons experiencing Depression, Anxiety, Bipolar Disorder, grief and loss, self-esteem issues, adjustment disorders, , life transitions, aging in place, and end of life decisions. Lonnie is empathetic, compassionate, and non-judgmental and has the ability to relate to others at their level. She offers a safe environment in which her clients can comfortably express themselves, explore their issues at hand, and learn the coping skills necessary to help them handle their personal situations more effectively. Lonnie utilizes an eclectic style to therapy that includes Cognitive Behavioral Therapy (CBT), Motivational Interviewing (MI), Mindfulness, Solution Focused Brief Therapy (SFBT), Strength Based and Compassion Based Therapy. Lonnie Polsyn is currently accepting new clients and offers daytime, evening and weekend appointments. Lonnie is a Medicare, Atena, and United Health Care provider. Please call 754-300-2969 or email lonnie@cwcsf.com to set up a free phone consultation.